Set in a fantasy world of swords, assassins, and magic, where democracy is practiced by blood sacrifice. Future stories will be loosely connected to The People’s Blade. 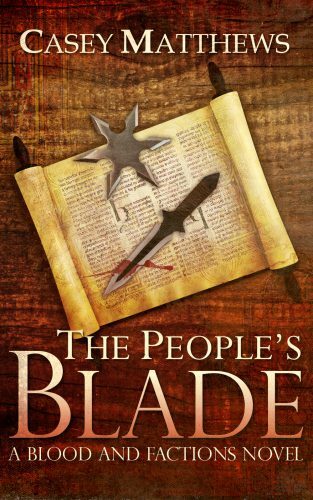 The People’s Blade: The tale of an assassin who is hired to protect a priestess. She despises him for his profession, and yet he must shield her from all his oldest, most dangerous friends.